Gordon Freymann has lived in Huntley Hills since 2006 with his wife Leslie and kids, Marshall and Charlotte. After hearing Hendrix at age 13, ‘Gordo’ bought his first electric guitar at 14 and has been playing ever since. 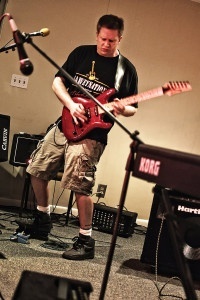 Influences range from blues to jazz to metal to classical. In terms of lead guitar playing style, one might describe it as a mix of heavy blues and modal metal. Gordo grew up in Chapel Hill, NC and completed his Bachelor’s degree in medical geography from UNC. He is a devoted Tar Heels basketball fan and never misses a game. In 1991 he moved to Atlanta to attend Emory University, where he earned a Masters in Public Health, with an emphasis on epidemiology and community health. He currently works at the Georgia Department of Public Health as Director of the Office of Health Information and Policy. Gordon and his team created and maintain OASIS, an online resource that allows for mapping and graphing Georgia health data (births, deaths, hospital visits, etc). Their site averages 500 data requests/day and has been recognized nationally at public health conferences. When not working, Gordo spends much of his free time jamming in his basement with other fellow musicians, many of whom also live in Huntley Hills. 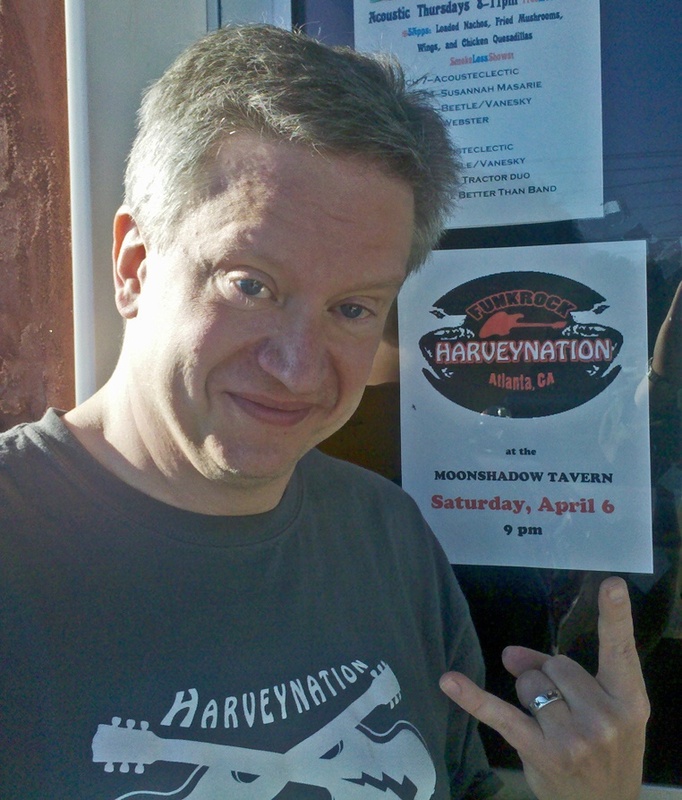 His current band, Harveynation, has been playing together since 1999 and plays original funk/rock. Previous bands include Useless and Lunge. A review in a 1998 issue of Playgrounds magazine (Columbus GA) stated about Useless “…the most exciting band around here right now. Gordo Freymann can seriously tear up a guitar and their original speed metal music is hard to believe. Even if you don’t like metal music, you gotta love these guys.” Lunge was short-lived but managed to write and record the theme song to the Columbus Cottonmouths hockey team. Gordo also enjoys now seeing his kids share his love of music. Marshall is playing drums for Chamblee Middle School and is using YouTube videos to teach himself how to play songs on the keyboard. Charlotte is playing the recorder at Huntley Hills Elementary School and has a natural talent for singing. Who knows, someday they may form a family band. Copyright © 2019 Huntley Hills Neighborhood Association. Powered by WordPress. Theme: Accelerate by ThemeGrill.